As a senior must be very careful using a ladder. Caddy helps juggle things. I love it because now I don't have to get up and down so often to get what I need for the job I'm working on. Great idea. Saves the constant up and down for tools. It did not slide down ladder top the entire way. Does not stop funtionality. Need it as I’m going to paint!!! I am recently moved to a new residence. Lots of picture hanging going on. I have often forgotten a certain tool and have to go back down the ladder to get it. This looks handy and conveinent. I have the ladder this fits on and this caddy will make it easier to work. I'll no longer have to stuff tools in my pockets or make several trips up and down the ladder grabbing tools, light bulbs, etc. I have the ladder and this looks handy. Laying stuff on the upper step is risky. 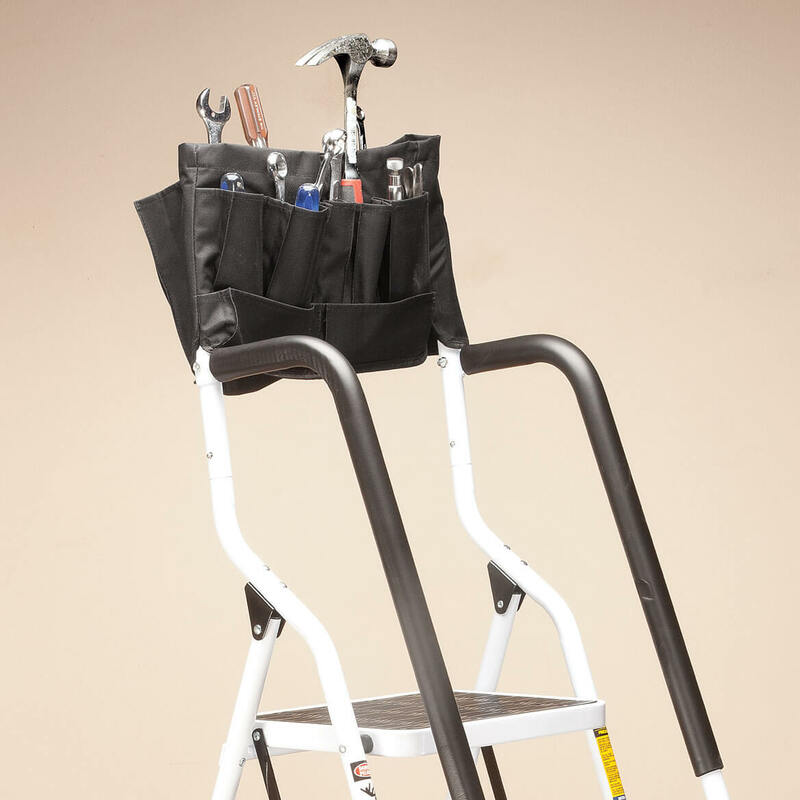 Just purchased my condo...doing alot of home repair myself and this is a great solution to the up and down on the step ladder during these projects. to have tools at top of ladder with me where i'm working. For my step ladder I purchased. tool caddy will help have all the tools handy for my projects. Glad you offer this item! Tired of juggling stuff when trying to paint! 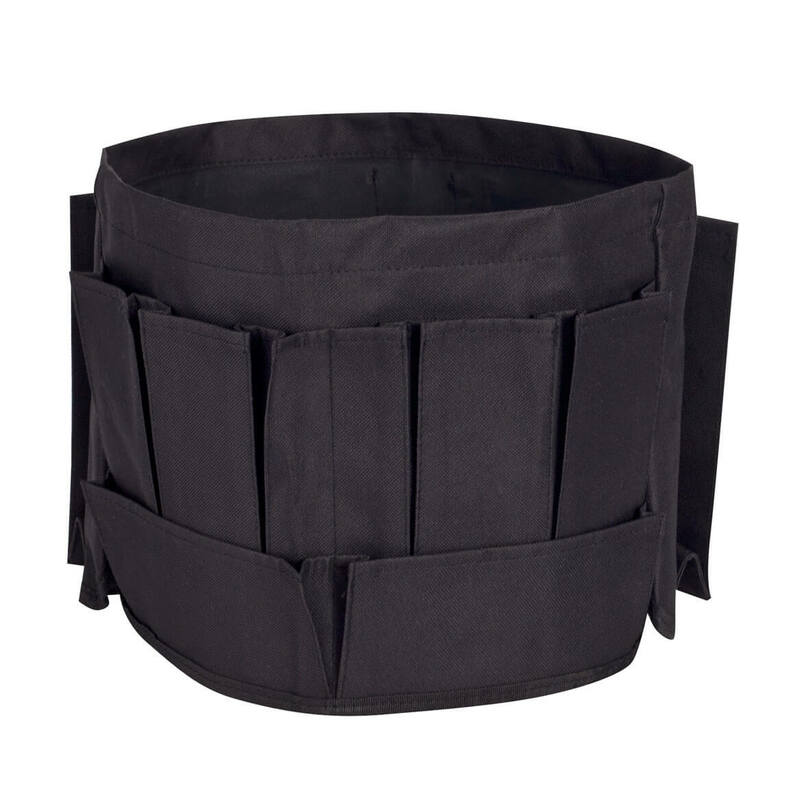 Only had to drop one paint tray on sidewalk to realize the value of this item when I saw it.